With the winter season rapidly approaching, you will want to make sure that you take precautions to make sure that your utility bills don’t rise by hundreds of dollars during the cold winter months. Last winter, the average American household spent over $900 on household heating costs alone. It is always a good idea prior to the beginning of the winter season to make an appointment to get your furnace serviced, even if your furnace seems to be working just fine. It is always a great idea to get your furnace inspected each year. To save costs on your furnace throughout the year, make sure that you change your clogged air filters. They are generally inexpensive, costing on average of $10 per filter. Keeping up with your furnace’s maintenance can save you an average of 10% on your overall heating costs. Energy Star appliances are one of many energy-saving brands that can help you to save quite a bit of money in the long run. Not only can you save money when you cut back on the amount of energy it takes to run your appliances, but also in the different rebates that you may qualify for with your power company when using certain energy-saving brands. Even simply switching from your regular light bulbs to either a LED or fluorescent bulb can help you to save some money. If you are unsure as to what products are energy saving, go to the Department of Energy’s Website for a list of energy saving gadgets and appliances. Make sure you turn off all electronics including televisions, appliances, and other electronics when they are not in use. Only keep on the lights that you need for safety reasons, like the ones used to illuminate a walkway. Make sure that all unneeded lights are cut off. As winter is the coldest season that we face each year, make sure that you dress warmly for the occasion, even when you are inside. Layers are very important. Make sure before the season starts you have purchased some comfy sweaters and thermal socks. Also make sure you have a couple of insulated blankets on hand as well. It can also help you if you put down rugs on hardwood or laminate floors. Try to use as much cold water as possible. Use cold water when you are running your dishwasher or washing your clothes. Also make sure that during the winter season you cut out half loads, and only wash full loads of clothes. When it comes to showers you can either choose to reduce the amount of hot water that you use or take shorter showers. Make sure that you don’t use hot water when brushing your teeth or shaving. Remember that you can wrap your water heater with jackets that can be purchased at your neighborhood hardware store. If necessary, replace your water heater with an energy efficient unit. Make sure to pay very close attention to your windows and doors, especially those that are around your thermostat. Make sure that they are tightly closed and insulated well. Sealing off these windows and doorways can actually save you a substantial amount of money on your heating bill. Open windows and doors alike can have an effect on how often your heat comes on and shuts off. Also make sure that you keep all sources of heat like lamps, heaters, and other appliances away from the thermostat.. These are just some changes that you can make to help you save money during the winter season. Remember if you follow these tips, you will definitely see a difference in your wallet. April Lewis-Parks has more than 15 years of experience in the financial sector, she is a certified financial counselor, and a consumer affairs advocate. As the director of education and public relations for Consolidated Credit she is dedicated to generating awareness about personal finance issues and acts as their consumer affairs advocate. 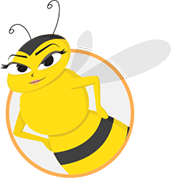 As host the of MissMoneyBee.com, she promotes financial education and offers timely and informative personal finance articles to educate the public. April’s promotional efforts can be seen in past issues of the New York Times, Washington Post, Newsday, Consumer Reports, the Business Journals, Money Magazine, Glamour, Cosmopolitan, Family Circle, among others. Connect with April on Google+.